2019 Northwest Tampa PRIDE Boys & Girls Lacrosse! 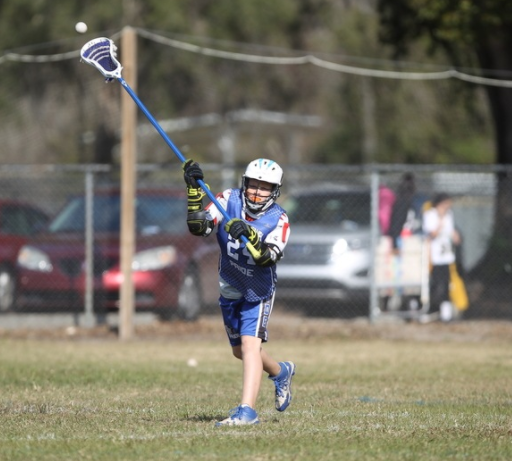 Northwest Tampa Lacrosse is excited to begin our 5th season of recreational lacrosse for youth boys and girls! The PRIDE has players and families from many different areas and schools in Hillsborough county including Lutz, Carrollwood, Westchase, Citrus Park, Odessa and many more! We are also the feeder program into high schools such as Alonso, Sickles, Steinbrenner and supportive of other schools. We are the ONLY SANCTIONED lacrosse fields in all of Hillsborough County! We welcome all players from the Tampa Bay Area including those who drive across the bay! You will be joining our program with dynamic coaches that have experience at every level from youth club teams to college! Northwest Tampa Lacrosse has thrived over the past seasons and we are anticipating teams at every age level! The spring rec season with the PRIDE will begin the week of January 9th, and will run until the end of April. Teams will typically practice 2 nights a week, and have 1 or 2 games on Saturdays. We will be playing our home games at the Northwest Tampa Lacrosse Fields: Northlakes Park (2650 N Lakeview Dr, Tampa FL). Both boys and girls are required to have all necessary equipment in order to participate in this spring. They are also required to be a current US Lacrosse Member and have a valid US Lacrosse #. Information on US Lacrosse can be found at their website www.uslacrosse.org and also on our website under the “US Lacrosse” tab. We’re looking forward to another great season with you all, welcome to the PRIDE!!! The Spring rec season will start the week of January 14th and will end the 2nd week of April. Registration Fee: Covers uniforms, league dues, referee costs, field maintenance, etc. Early Bird Special: If you register and pay registration fee before 12/20/2018 you will receive a $25 discount on the season. Sibling Discount: Any family with more than 1 child in the program will receive a $50 discount. PRACTICE SCHEDULE: All practices will be held at Northlakes Park! This year’s game schedule is tentative as of now, will be released in the coming weeks before the season. We will be participating in the Clearwater Jamboree February 2nd!